Investors allocated an estimated $11.87 billion into hedge funds in February, continuing the trend of high demand for hedge fund products in the early months of 2018. This brings YTD inflows to $21.83 billion, according to the newly released February 2018 eVestment Hedge Fund Asset Flows Report. 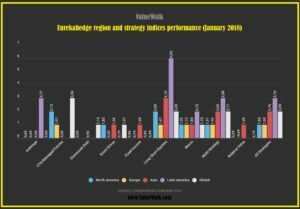 The month of February historically sets the tone for hedge fund interest to expect through the rest of the year. However, this past February was more reflective of levels seen in 2016 than in previous boom years, though still net positive. It is important to note that January hedge fund flows were at record highs, so a drop could be expected. February’s asset flows were also highly concentrated, with most allocations and redemptions limited to a small number of products. Most were focused on Multi-Asset class funds, with a focus on macro, multi-strategy, and managed futures strategies. Macro hedge funds continued to see elevated interest in 2018, despite four consecutive months of redemptions to end 2017. eVestment’s recent look into US public pension allocation targets showed strong implied demand for hedge funds, with macro strategies appearing to be a prime target. Allocations of long/short equity funds stalled in February after leading industry inflows in 2017. The outflows are quite small when compared to the large amount of money raised last year. February brought a blip in ongoing interest in Europe-domiciled products, seeing minor outflows after 11 straight months of net positive investor sentiment. Four out of five new flows into emerging market hedge funds were focused on EM credit markets. Overall net flows into emerging markets were light in February.